Take advantage of an incredible, targeted marketing opportunity to spotlight your company to 300+ area professionals. Sponsor the 7th annual WISE one-day conference in The Woodlands on Wednesday, September 25th, 2019, at Lone Star Corporate College. Sponsorship opportunities are available on a first-come basis. Your company’s logo and a link to your Web site will appear every time someone accesses the WISE Conference site. Your company logo appears on all event signage and your company is recognized in the event program and during the conference. Your company benefits from thousands of impressions and an opportunity to associate your brand with the top Woodlands-area independent networking conference. Use the event tickets that you receive to reward an outstanding employee, treat a loyal client or encourage a young professional that you’re mentoring. The WISE event includes a luncheon, a keynote speaker, an Executive Panel discussion, career pavilion sessions, multiple networking opportunities and some fun along the way! Individual tickets for attendees are $89. As a Sponsor, you’ll be among the first to know who our Keynote Speaker will be. 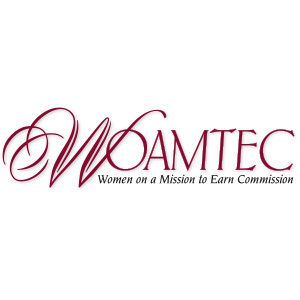 The WISE 2019 Conference is a cooperative effort between WOAMTEC and MCABW. WISE—Women Inspiring Supporting Empowering caters to professionals with a desire to learn more about work-life balance.